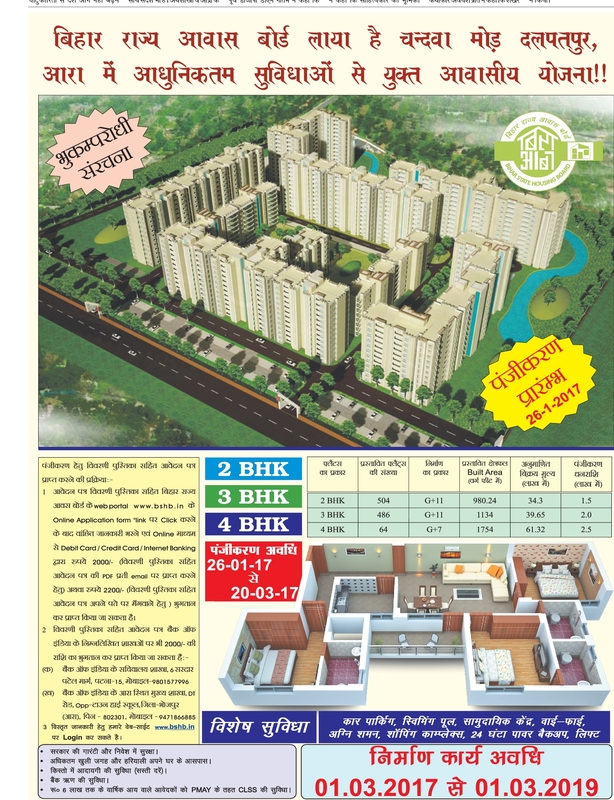 Sale of brouchure for allotment of unallotted 228 Flats/House at Bahadurpur,Patna. 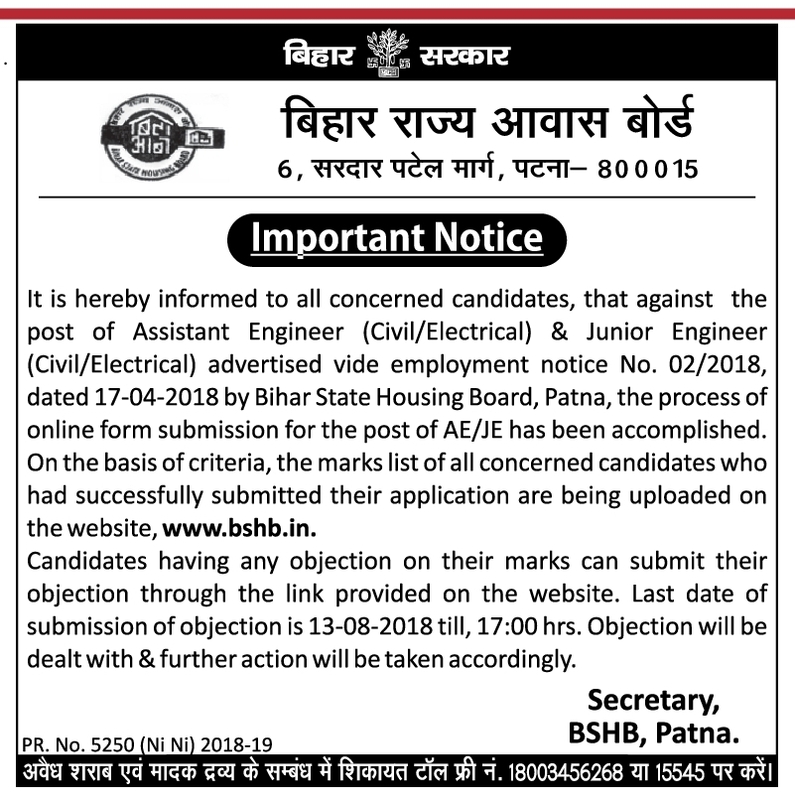 Important Notice:- Invitation of Objections- Recruitment of Asst. Engineer and Jr. Engineer(Civil/Elec)- Paper Notice-(Emp. Notice No-2/2018).